elizabethmarxbooks: TAKE ME OUT TO THE BALLPARK: OPENING DAY TRIVIA CONTEST!!! TAKE ME OUT TO THE BALLPARK: OPENING DAY TRIVIA CONTEST!!! 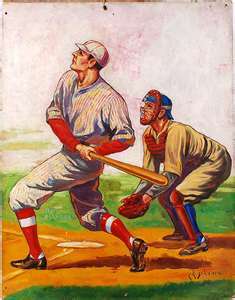 1) Which famous baseball record was tied on Opening Day? 2) Which obscure Chicago Cubs player is the only National League player to hit three home runs on Opening Day? 3) Which team has the longest Opening Day winning streak? 4) Which Hall of Fame pitcher threw the most shutouts on Opening Day? 5) Who was the first sitting U.S. president to throw out the first pitch on Opening Day? 6) Which pitcher started the most Opening Day games? 7) Which Hall of Famer is the only pitcher to throw a no hitter on Opening Day? 8) Which is the only team in baseball that always has their Opening Day at home? 9) Which team has the best winning percentage on Opening Day? LEAVE A COMMENT ABOUT YOUR FONDEST OPENING DAY MEMORY & I'll randomly choose a winner. 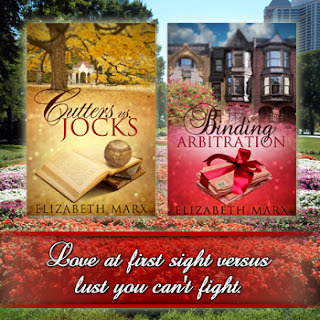 PRIZE an EBOOK copy of CUTTERS VS JOCKS and BINDING ARBITRATION. And for the record Aidan got all the questions wrong when polled!!! I remember going to a Blue Jays game as a little girl with my dad (we're both crazy sports fans), and eating a hot dog. I'd gotten mustard all over my little jersey, and my dad in his attempt to clean it so my mom wouldn't freak out smeared it all over the front of my jersey. By the time we got home, it was too late, and the both of us got lectured by mom. I still have that jersey, and though my mom made my hot dogs with little to no condiments from that point forward, watching my Jays win that game was worth it.